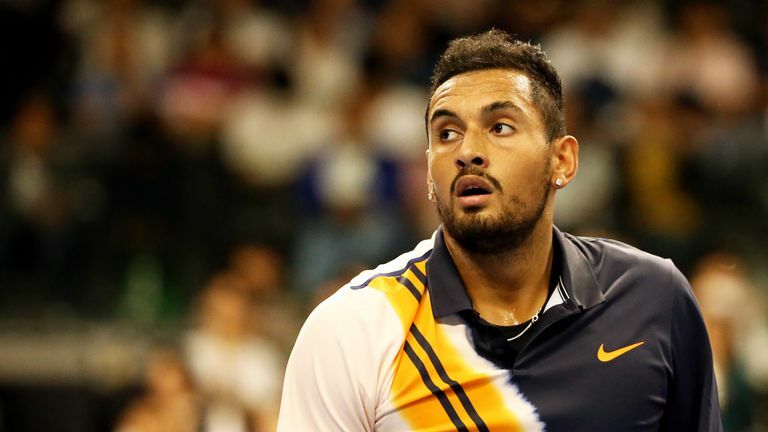 Nick Kyrgios remains set to defend his Brisbane International title after receiving treatment for a spider bite sustained over Christmas. Nick Kyrgios remains set to defend his Brisbane International title despite suffering a spider bite over Christmas. Organisers are confident the Australian's plans will not be derailed ahead of the season-opening tournament beginning on Sunday. Kyrgios, world No 35, posted a short video on Instagram showing him with what appeared to be a drip in his arm and being treated by medics. "Got a spider bite on my foot. Christmas different every year," Kyrgios said. "This spider bite outta contro," a caption in a later video said. Reports in the Australian press said Kyrgios had to be treated in a Canberra hospital. Should Kyrgios be able to recover in time to make his season bow then he will join a strong field which includes Rafael Nadal and the returning former world No 1 Andy Murray. Krygios' 2018 season was cut short due to an elbow injury that saw him pull out of the Kremlin Cup in October.